Alone on the stage, alternatively in light and shadow, Kevin Gaytan performs a modern dance piece that he choreographed while at San José City College in California. The music is haunting, his movements are precise – his message heavy with significance to his own life. Kevin, 21, is a DREAMer on his way to earning a Bachelor’s Degree at San José State University, with financial assistance from TheDream.US. At age seven, Kevin flew from Zacatecas, Mexico to Palo Alto, California with his mother. She had a temporary permit to work in the United States and wanted to provide for her older daughter’s education back in Mexico. Mother and son became undocumented after the permit expired. His first two years of high school were “rough.” He says, “I didn’t necessarily try to be successful…because I knew where I was headed.” Observing his mother, and other undocumented students that had dropped out of school, toiling in blue collar jobs made him aware of his future prospects. “For me, I felt like that was my route and what I was supposed to do, given the fact that I didn’t have any opportunity or access to…resources [for] a higher education,” Kevin explains. 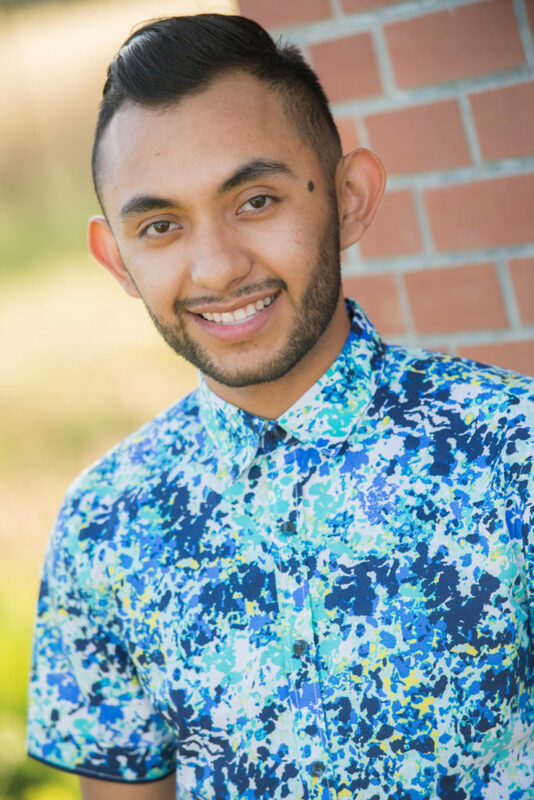 Fortunately, Kevin met a counselor through the program CAL-SOAP and together, they began making real plans for college given his status as an AB540 student and DACA recipient. Graduating from Yerba Buena High School with a 4.0 GPA in 2012, a now determined and focused Kevin immediately began coursework at San José City College and eventually earned two Associate’s Degrees. At the community college, Kevin found a support group – a foundation to believe in himself and keep going. “There were counselors just like myself…Mexican-Americans [that] held Master’s Degrees and PhD degrees, so it gives you that inspiration…there is someone that looks like me and what I could be,” he says. It was very emotional for both of us…I opened the email…and I started [translating] it word for word. I could see her eyes starting to tear up. She started crying, and I let her know that this was something that validates what she has done. It validates that…she created a person [who] is determined. She created a person that is going to continue [my education], and I have the help to do it now. Kevin is double majoring in Sociology and Dance at San José State and feels that “preparation is key to everything that you do.” He hopes to be a teacher in both respects, and be a mentor and role model for others, just like the supportive base that he had. “A lot of the times, all you need is someone to…let you know that you are worth it, and you can make it,” he declares. View “Indésirable” – choreographed and performed by Kevin Gaytan.